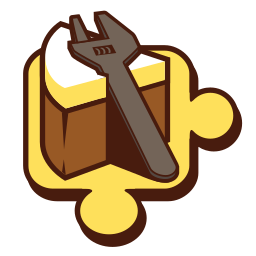 NuGet Gallery | Packages matching Tags:"comments"
30 packages returned for Tags:"comments"
This package allows you to deploy the Sandcastle Help File Builder tools inside of a project to build help files without installing the tools manually such as on a build server. Some limitations apply. You will also need to install the reflection data set packages that you need for your projects. Hjson, a user interface for JSON. Relaxed syntax, fewer mistakes, more comments. Supports .NET Core, .NET 4.x and Mono. For details go to http://hjson.org. A console app that generates Markdown from .NET XML documentation comments. A Cake addin that generates Markdown from .NET XML documentation comments. A set of helper classes and methods for compiler-generated XML documentation retrieval. Copy Xml Documentation Comments from interfaces to implementations with this magical build task. A class library that generates Markdown from .NET XML documentation comments. A .NET Core application that calculates the percentage of public members and types in your .NET assembly that have XML comments. A .NET Core global tool that generates documentation (an API reference) for your .NET/C# code (with XML Documentation comments) and publishes it on the web via Aistant (https://aistant.com) service.